The Fitbit One Wireless Activity Plus Sleep Tracker was introduced in 2013. The fitness and sleep tracker can track calories burned, distance traveled, and stairs climbed. This device can also monitor how well and how long the user sleeps. Fitbit offers a fitness device that helps users become active, sleep better, and eat smarter. Throughout the day, the device tracks the number of steps taken, distance traveled, and calories burned. Throughout the night, it measures the user’s sleep cycle and helps offer better sleep. There is also a silent alarm that can wake the user without disturbing a partner. This device is great for setting goals, competing with friends, and staying fit. The Fitbit One is a perfect device that integrates fitness into the daily routine in a seamless and social way. This tracker is currently available on Amazon for $96.49. There are several benefits to owning a Fitbit One Activity Tracker. This device helps users monitor daily fitness activity by providing real-time feedback. This is a versatile device that tracks hours slept, steps taken, sleep quality, stairs climbed, calories burned, and distance traveled. The Fitbit One is powered by a durable altimeter and accelerometer. The device automatically syncs user stats to iPads, PCs, iPhones, and Macs. 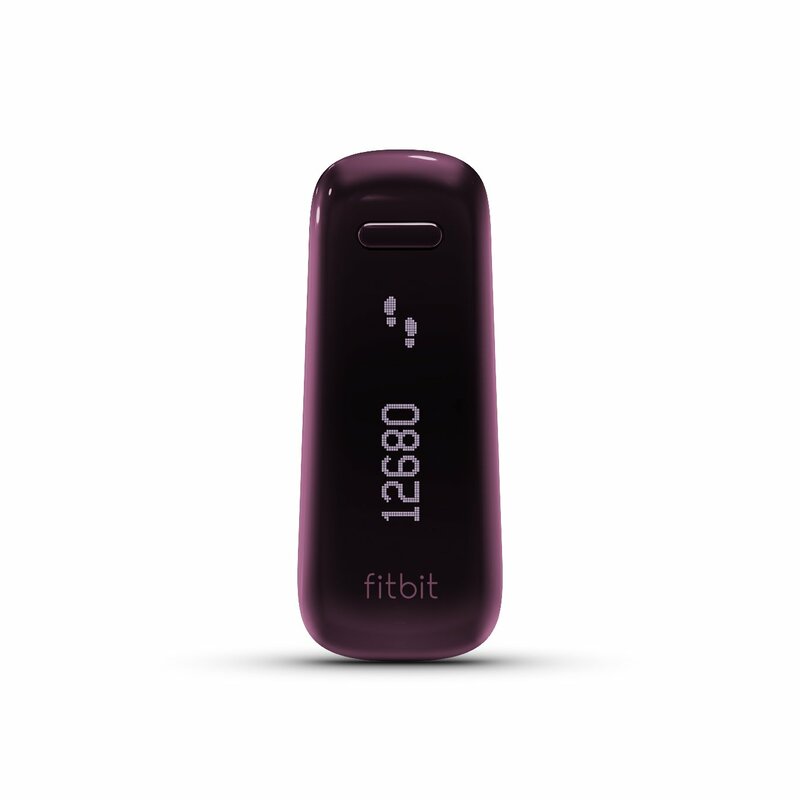 A user must simply sign up for a free account on the Fitbit website and register the device. This process can be completed on Android devices using Bluetooth 4.0 technology. After the process is completed, stats and data will sync automatically. This can provide a fun way to share and compete with friends. Challenging family or friends on the Fitbit website is a good way to stay active and be social. The website allows users to compare stats and see current progress. The Fitbit One also helps users get quality sleep. The tracker accurately measures sleep cycles. After the data syncs, there are graphs on the Fitbit dashboard that display how long the user slept and the number of times the user woke up. This information gives the user a precise sleep quality score that is used to help the user sleep better. On the Fitbit dashboard there are several tools, graphs, and charts that are designed to track progress and provide feedback on health/fitness. The dashboard is completely customizable and offers access to useful fitness data. The tracker can also help users create a Food Plan that will help them eat smarter. Users can enter food, water, weight, and workout information by using Fitbit’s online tools. There is also an option to track health and fitness on other apps by exporting Fitbit data to other popular fitness apps. The tracker even offers a cool incentive to users known as badges. Every time a user achieves a specific goal, they are awarded a badge. This can be a helpful motivation tool for many users. One of the major drawbacks for the Fitbit One Activity tracker is the size. This device is considerably smaller than other fitness trackers and is much easier to lose. The considerably small dimensions are 0.2 x 0.8 x 2.2 inches. Another issue with the device is the fragile clip. Other trackers incorporate a more durable strap for extended use. For the most part, the device can easily come out of the clip. This can lead to losing the tracker rather easily. There is not an instruction manual included with the tracker. Although the set up is easy and straightforward, many users have basic questions. After opening the box, the user is instructed to put on the device on and go. However, there are detailed instructions on the Fitbit website but many of the features are difficult to locate. The FitBit One Activity Tracker has some nice features. The personality of the device and the sleep tracker are both quality selling points. Although there is no useful Artificial Intelligence built-in to the tracker like with Garmin and Basis trackers; the device does a great job of motivating users to stay active. This tracker is useful for encouraging users to push further and exceed fitness goals. The Fitbit One also displays important information in an efficient way. The digital display is convenient and scrolling through the screen is easy. Daily fitness goals are visible and this tracker is great for improving sleep quality. More importantly, the number of steps taken, distance traveled, and calories burned are presented accurately in an easy-to-understand form. Other trackers in this price range include the UP24 by Jawbone and the Polar Loop Activity Tracker. However, these trackers do not have some of the useful features the Fitbit One has such as the sleep tracker and food log. The Fitbit One Activity Tracker is a quality tracker for any user that desires to remain active, eat smarter, and sleep better.